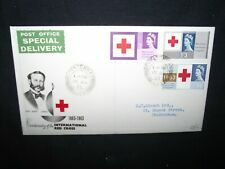 GB first day cover 1963 red cross on illustrated cover with typed address. Red Cross Centenary 1863. 15 Aug 1963. Insert: Not Present. Pictures are of the Cover that you will receive and show them as they are. 1963 Queen Elizabeth II Red Cross Centenary Congress. set of four on 15 August 1963 fdc ordinary. SG 642-644. -my ref 1599. 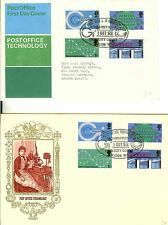 Clean cover, with Red Cross Congress 3d stamp. Issue: RED CROSS CENTENARY. Date: 15 AUGUST 1963. AS USUAL FLAP STUCK DOWN. HAND SIGNED BY THE THEN VICAR. Cover: FLORENCE NIGHTINGALE. OVER 35 YEARS EXPERIENCE. 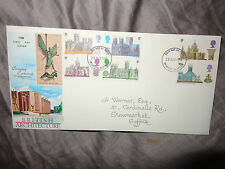 1963 Red Cross (ord) Illustrated First Day Cover Holywell Cross FDI c.d.s. Buy now and save! You might also like. 1963 Red Cross (Phos). The Set Of Two. Buy now and save! PICK UP OPTION. Price:£2.50. Red Cross Centenary Congress. Queen Elizabeth II - Red Cross Centenary Congress 1/6. Dated 15th August 1963. London S.E.1. 15 Aug 1963. 1963 RED CROSS CENTENARY CONGRESS. MY REF 890. A good lot. FOR EACH EXTRA COVER.